Responses to fascism in psychoanalysis, surrealism and modernism. This symposium explores the relationship between creativity, psychic life and politics in the first half of the twentieth century. It includes papers on how psychoanalytic theory was used to diagnose the extraordinary hatred that accompanied the rise of fascism in the 1930s, and on how modernist and surrealist techniques were marshalled to the task of finding ways of preventing it. Modernist and surrealist writing that both resisted and promoted fascist ideology will be examined, and questions will be asked about how responses to political hatred in the 1930s bear upon discussions of today’s political contexts. The symposium will conclude with a tour of the exhibition, ‘A Tale of Mother’s Bones: Grace Pailthorpe, Reuben Mednikoff and the Birth of Psychorealism’. 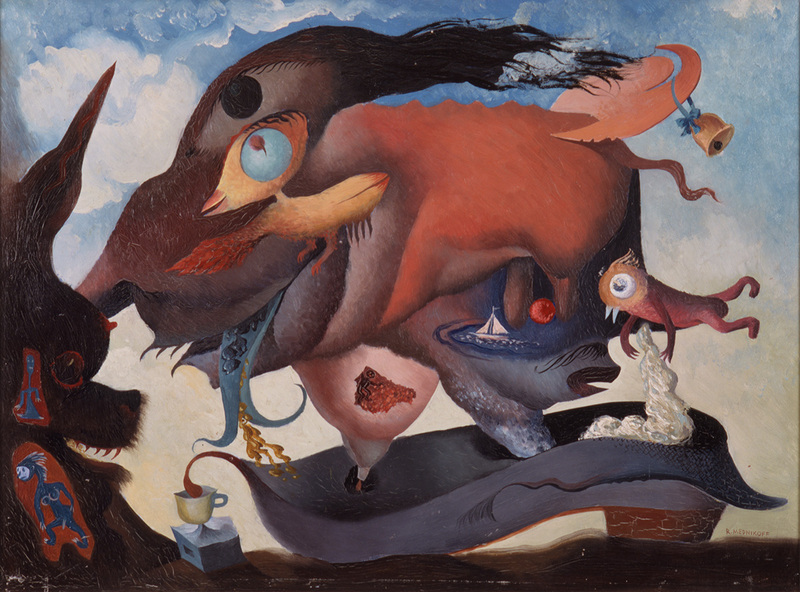 The work of Pailthorpe and Mednikoff brings together many of the themes of the day: they developed a method combining psychoanalytic theory with surrealist art and writing, which they believed would provide society with a cure for what they called ‘the virus of hate’. The history of the venue, the De La Warr Pavilion, resonates with both the exhibition and the symposium. It was co-designed by German Jewish architect Erich Mendelsohn, who fled Nazi Germany in 1933, and was commissioned to build the Pavilion with Serge Chermayeff in 1934. Their work was completed in 1935, the year that Pailthorpe and Mednikoff met. This symposium has been organised by the Centre for Modernist Studies at the University of Sussex in partnership with the De La Warr Pavilion; it has also been supported by the Centre for Life History and Life Writing Research. 12.10 – 1.30pm What Can Creative Practice Do About Or With Hate? Paintings and drawings from ‘A Tale of Mother’s Bones’ will be selected and the audience will be invited to respond to the works in light of the papers and responses they have heard throughout the day.